Woo! Aww ya, it’s National LGBT Pride Month, and I’m so excited! Colorful flags, parades, educational events, and lots of amazing, diverse people out there not afraid to show off their love for themselves and others! It’s a wonderful time! Hey everyone! Mastress Alita here, and I’m back as your hostess for another year of Sims Pride! If you missed out the festivities last year, then fear not! This year features a whole new selection of photo submissions that highlight just how much diversity there is within our Simming community, amongst Simmers and their Sim creations alike! Here at Sims Pride, all walks of the sexual orientation and gender-identity spectrum are more than welcome, so expect to see lesbians, gays, bisexuals, transgenders, gender-queers, agenders, intersexuals, asexuals, pansexuals, the polyamorous, those still questioning their orientation or gender identity, any other queer-identifying individuals, and heterosexual allies of the community taking part! I know that for many in the LGBTQQIAAPP community, it can be hard to find that inner love, and to take pride in who you are and share that love and pride with others, especially when you may not be feeling that love and pride back from others — family, friends, the cultural norms of the area where you live, or even your current government. Just remember to stay strong, Kindness Warriors! Whenever you feel downtrodden, look at the amazing community of strong, beautiful, diverse, loving, and accepting people we’ve built together, and know that you never have to feel alone. That is what is at the heart of Pride, and why you should never let the love and pride for who you are stop burning strong! …Oh? What’s that, Casanova? Do I have any treats? Oh, oooooooooh! You think we should get this show started, don’t you? Sorry, so hard to hear you properly over all this noise! Excellent idea! 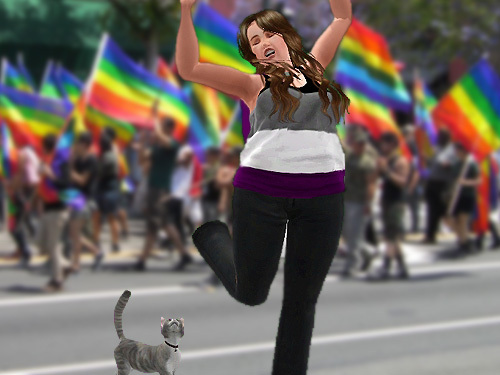 Without further ado, I’m so excited and pleased to welcome you all to our second annual Sims Pride photo parade! I hope you all enjoy these beautiful, diverse Sims taking pride in who they are! 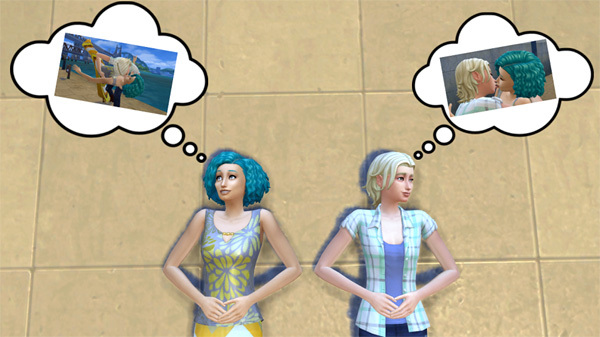 All Sims will be named from left to right, and if a higher resolution version of the image is available, just click on the image! Enjoy! 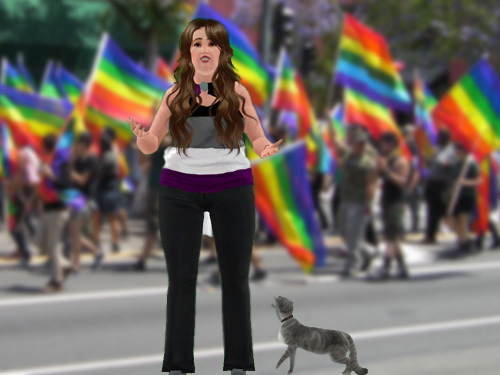 All right, let’s get this Sims Pride parade started! Come, faithful Ally-corn, let it be known, Mastress Alita, proud aromantic asexual, and author of several LGBTQ+ themed short stories and Sims photographs at Sim Stories: Hijinks from the World of Sims 3, doth proclaims Sims Pride across all of Simslandia! First up we have McCoy Kleos from The Kleos Famacy by ginnymalfoy22! McCoy, a Generation Nine spare, was assigned-male-at-birth but now identifies as agender and uses they/them pronouns! Next we have Kyle Martin and K.C. Wright from Soulmate by Rosie, a romance story featuring this adorable homosexual couple! Here we have little Destinee and proud parent Taylor from Sigourney Barriere’s Floyd Random Challenge. 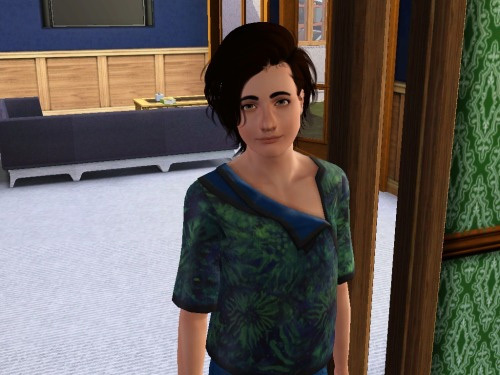 Taylor is genderfluid, uses them/they pronouns, is bisexual, and according to Sigourney Barriere, “Taylor was my favorite Sim for a long time.” They married the Generation Two heir, Jaxen, who is also bisexual. Daughter Destinee, shown here as an infant, discovered she is homosexual as a young adult and opened up to her parents about her sexuality. That’s excellent, Destinee! Next up we have Chloe and Alexa, bisexuals, and Max, an asexual, submitted by simmreaper, author of Simmreaper’s Blog! So much Pride, I love those flag backdrops! 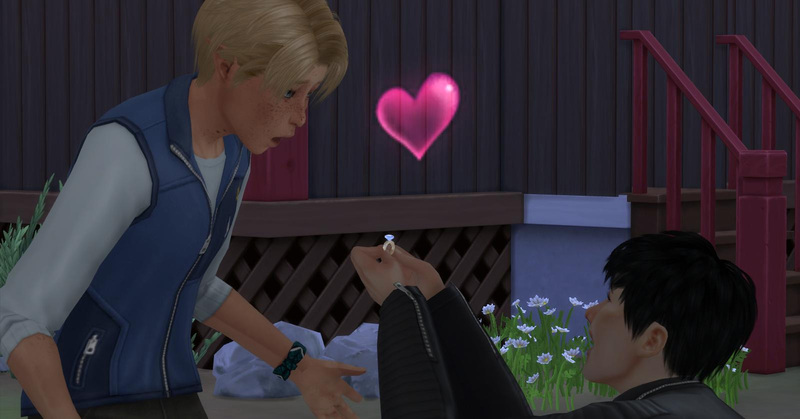 This cute couple is Ratcliffe and Clayton from Disney Sims Neighborhood by MadameLee! Ratcliffe is bisexual and has two daughters from two previous relationships with ladies before settling into his current relationship with husband Clayton, who is homosexual. Congrats, you two! Allow me to introduce Elsanine, a pansexual fae, and Arcturus Fenelon, a gay vampire, from ValoisFulcanelli’s The Madness of Mr. Goth! According to ValoisFulcanelli, this is “Quite the controversial pairing within the supernatural world of the Veil which they both inhabit, since one is a healer and sworn to preserve life and the other brings death in order to survive. I’ve not really fleshed out their story (such as it is) but they have been together for thousands of years, and are utterly devoted to each other.” Daaaaaaaaaaw! This stunning lesbian couple, Zana Roberts and Finley Duff, are courtesy of Jazen’s Kiss of a Vampire! According to Jazen, “Finley and her girlfriend Zana met in high school. They started out as friends but soon realized it was more than that. They came out quite by accident when Finley’s step-dad walked in on them making out, an embarrassing situation for all parties. The picture of them is from their senior prom. They have since grown up, but remain a very happy couple.” Congrats! This lovely collage features Alex Day and Knight Richardson Day from Day and Knight by pammiechick! According to pammiechick, “Alex fell in love with Knight before he transitioned all the way. He was a transgender male but went through surgery and hormones transitioning to a male. Knight was straight until he found out his true orientation through his romance with Alex. He is a gay man.” They are a beautiful couple! 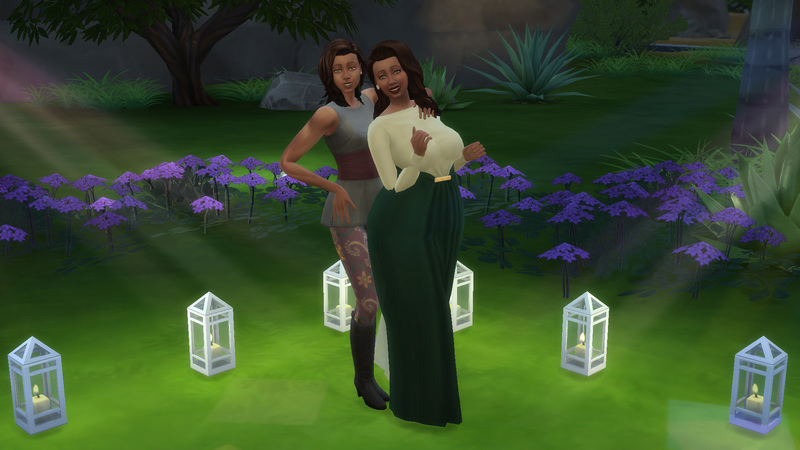 Here we have Simself SilentWolf101, author of Heartbeats, featured with Sim Eleanore Fossfield! SilentWolf101 says that she is bisexual with a slight preference for guys! She seems to be quite happy here with Eleanore, who is also bisexual. 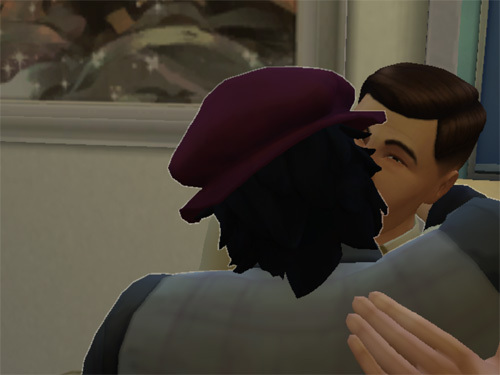 Next up is Avery and Joe, a gay couple submitted by thuggishsplicer, author of Gamer’s Corner! Thuggishsplicer claims, “Avery and Joe are very old characters, but I did love this proposal.” I love it too! 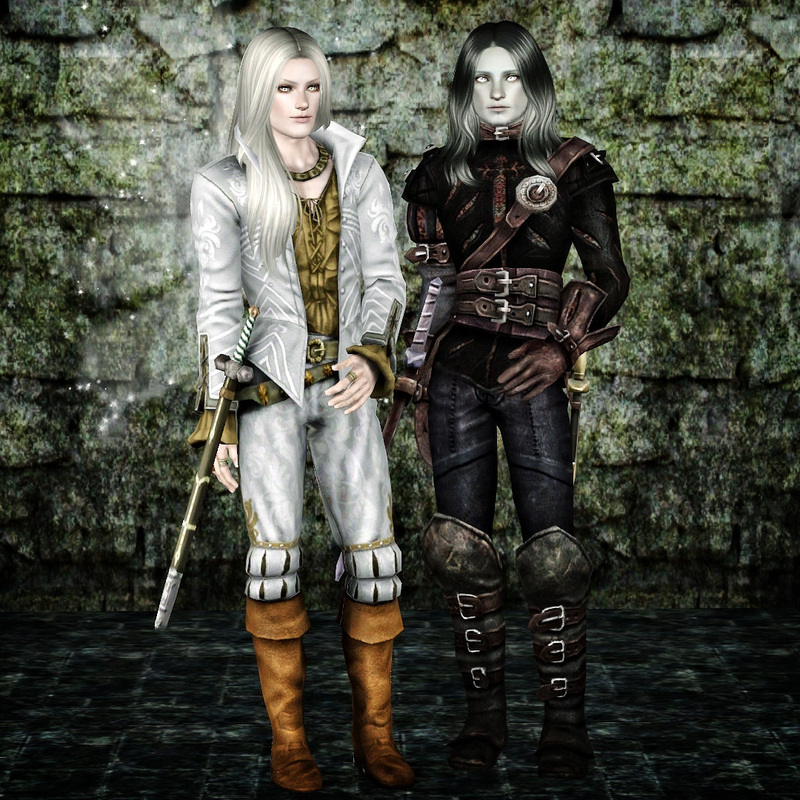 Featured here are Andi Ashworth and Suranne Ashworth, siblings from Charliimai’s short story Ashworth Rose. Andi is an asexual transgender, and Suranne is a heterosexual supportive ally! Congrats on your transition Andi, and congrats on being accepting and supportive, Suranne! It means the world! This adorable couple is Blake and Tate from Rainydayz179’s Whim Challenge. 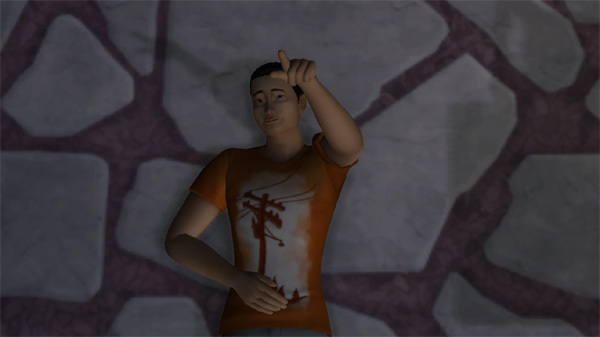 Tate, bisexual, is the Second Generation heir of the challenge. He was a player in his youth with many boyfriends and girlfriends before settling down with Blake, who is gay. They had three children together using Tate’s exes as surrogates. According to Rainydayz179, she was very attached to this couple: “When it was time for them to pass on it was too difficult; using death flowers and youth potions they had a bit more time with their grandchildren. Once they did pass on I was so heartbroken I have barely played the challenge since.” Awww. Here we have Stuart Albert, a bisexual Sim from After the Wedding by Pegasus143/makplays! This lesbian couple is courtesy of AuroraLockwood, author of This is UNEQUIVOCALLY us! : A Series of Blog Styled Stories! 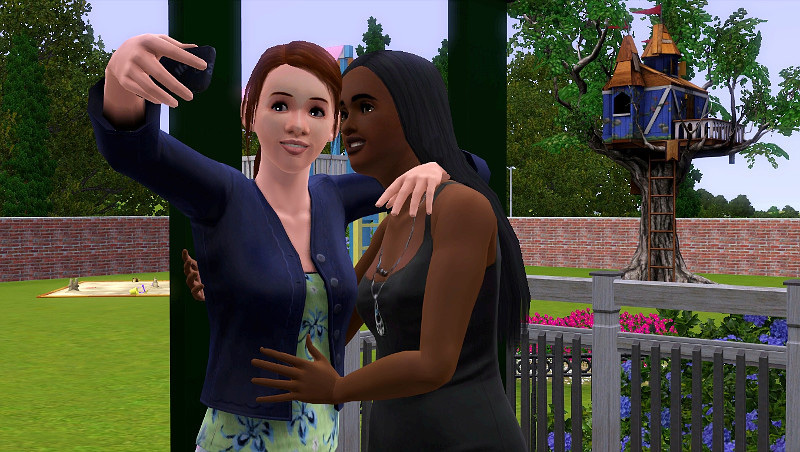 Here we have Silvia and Molly, Sims from a current household that are not featured in a story. They look so happy, daydreaming about each other! Thank you for your enlightening words, Jazz! This cute couple is Laurel Grisby and Ari Moore from RipuAncestor’s The Chrysanthemum Tango and Pen Pal Project side story Letters to Emily. They haven’t specifically mentioned their orientations, but they’re very open about being in love and attracted to each other, and have been in a relationship since their high school prom. They recently got married. Congrats, you two! Here we have Charlie Corleonsi, a lesbian from TheGeekGamez’s We Could Change It All: An Apocalypse Challenge, and TheGeekGamez herself, a bisexual! I have to say, TheGeekGamez, I’m totally digging that “Bisexual and still not into you” shirt! Next up is Harley Velasco, a transfeminine transgender Sim from The Velasco Legacy by peatock/losebetter, illustrated by the author, and I have to say she is one gorgeous Generation Six spare! That is fantastic! I’m so happy for you Sebastian, for being honest and open with your family, and that you still have their love and support! Back with us for another year is Simsophonique, author and Simself star of Miss V Detective, and this year she’s brought her friends, Miley Brunel, Bearanne Ortiz, Vanessa Cruz, and Ryan Demuro! They are bringing the Ace Pride this year, with Simsophonique herself somewhere in the cupiosexual/demisexual/gray ace side of the asexual spectrum (“Hard to really define,” says Simsophonique, and hey… there is nothing wrong with that!) She also apologizes for the lack of cake (also forgiven!) Those Ace flags look great! And our final submission comes from rednenemon/Senna, author of The Racket-Rotter Chronicles, Part Deux! In this impressive group we have Sinbad, bisexual; Shark, gay; Dennis, bi-curious and ally; Blaise, bi; Marc, pansexual and polyamorous; and Harwood, pansexual! 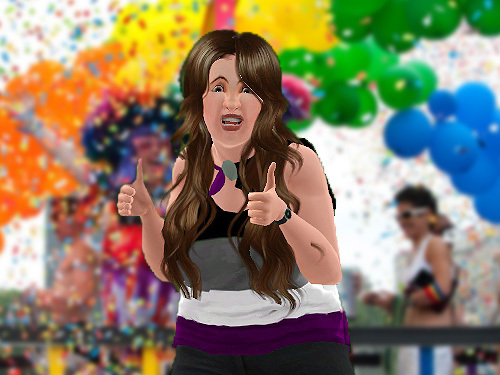 Wooooooooo, what a fantastic Sims Pride! As usual, I’m continually blown away by all the beauty, creativity, and diversity this community has to offer, and it deserves to be recognized! I hope you all enjoyed it as much as I did! Thanks so much to all those Simmers that took the time to submit a photo to Sims Pride! Without the contributions of the community, this event wouldn’t be possible, so it means the world! I really hope to see you back next June for another Sims Pride! Feel free to spread the word; we had a slightly smaller turnout this year compared to last year, but I’d really love to see Sims Pride continue to grow and become something the community looks forward to every June! Remember, Sims Pride is a time to share your own love, support, pride, and bonds of community, as well as promote education and awareness, so if anyone has any questions or personal stories they’d like to share about being part of the LGBTQQIAAPP community, stories about their LGBTQ+ Sims, or links to recommended Sim stories out there that feature favorite LGBTQ+ characters or themes, feel free to share them in the comments! CASANOVAAAAAAAAA! Here kitty– pffffff, ugh, glitter bomb right in the mouth! 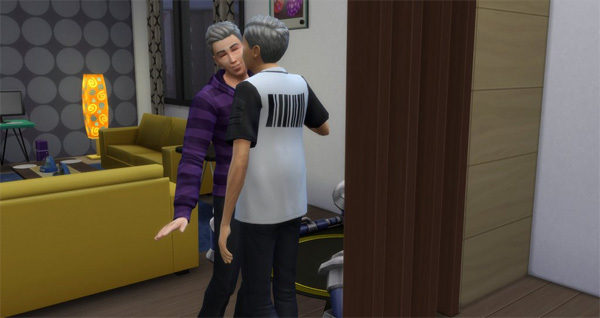 This entry was posted in Short Stories and tagged character: Casanova Kitty, character: Mastress Alita, event: sims pride, game: Sims 3, game: sims 4. Bookmark the permalink. 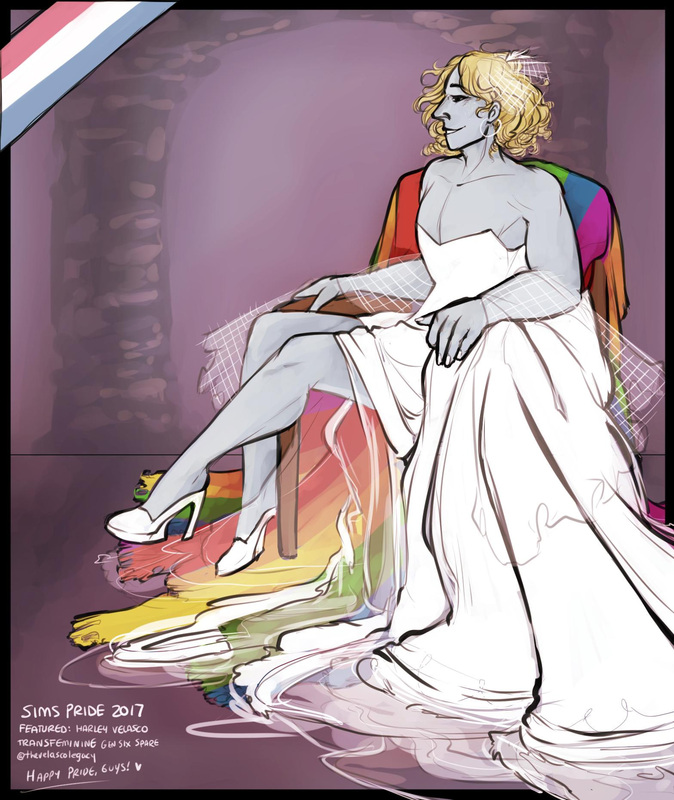 31 Responses to Sims Pride 2017! It’s always so lovely to see such diversity in the sims community. All of these sims and simselves, and the sim creators are all amazing. I agree! I really love as the submissions come in and I get to see all these amazing Sims, and even more excited once Pride weekend approaches and they get to be shared with everyone! Thank you so much for participating again this year! There is so much beautiful diversity in the Kleos Famacy! This was really great! Fantastic job hosting, Mastress Alita! I’m glad you enjoyed it! Thank you so much for sharing Jazz with us! What a great bunch of Sims, and more Aces than I expected. Happy Pride! 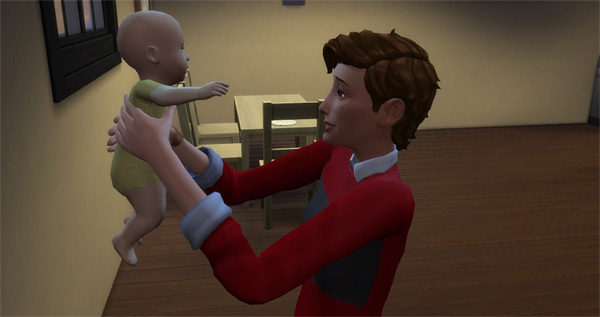 There are actually a lot of Aces amongst the Simming community (I know several Simmers that identify thusly that write Simlit), so I’m not surprised to be seeing more Ace Sims themselves starting to get representation (which is nice, considering just how little Aces get represented in most other fiction/media). Happy Pride to you too! thank you so much for putting all of this together!! <3 it's so lovely to see this little celebration, and i really appreciate getting to be a part of it as well! Thank you so much for submitting that lovely illustration of Harley! It was a pleasure to have you be part of it! Thank you for putting this together, Mastress Alita! It was so great to see all these lovely Sims and Simmers take part this year too. And a lot of new faces too! So great! Yes, there was quite an assortment of folks who were submitting for the second year in a row (either with the same Sim as last year or with brand-new Sims) and first-time submittees, which is great to see! Overall Sims Pride got less submissions this year than last year and I know it got a lot wider word-of-mouth spread, especially on Tumblr, so it’s a little unfortunate that more folks from the Tumblr/non-forum side didn’t drop by, but I just cross my fingers that the next year will be bigger than the last. Happy Pride to you! Thank you for taking part again this year! Awesome, thank you Mastress Alita for organising this fabulous tribute to pride in diversity. And, of course, credit to all the gorgeous and talented contributors sharing their stories. 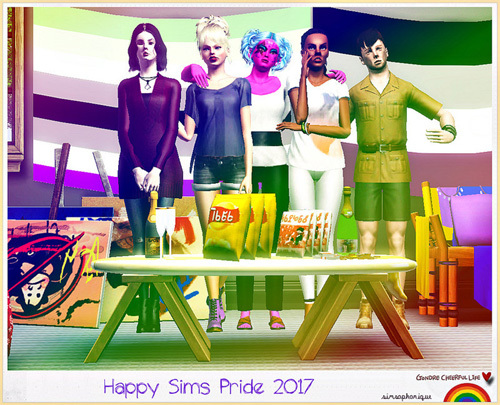 Thank you so much for taking part in Sims Pride! I’m glad that you enjoyed it! Great job yet again! I enjoyed reading everyone’s descriptions. Thank you! 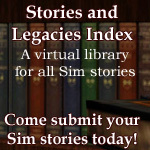 I found a lot of interesting stories that folks had included on their submission forms in the “additional info” section of the form, and I tried to include as much information from these personal stories about their Sims, if provided on the form, as possible! Because they really are a joy to read. Thank you so much for taking part in Sims Pride again this year! Hopefully I’ll find another couple for next year that I love as much as Tate and Blake. I think the additional info was a great touch and I’m glad so many people included it. My ace pride have got allies but omg with poses I am not very in ease. So I only focused on my little ace pride. Thank you for forgiving me about the cake haa I wanted it purple that represents the community . I know there is cake pride for ts2 but I ignored if they exists for ts3. I forgot to tell that my ace pride represents the diversity of my game, I am not afraid of playing with people different colourskin than I am the people I made and I play with. Happy Sims Pride 2017 , I just love all the pictures show there !! 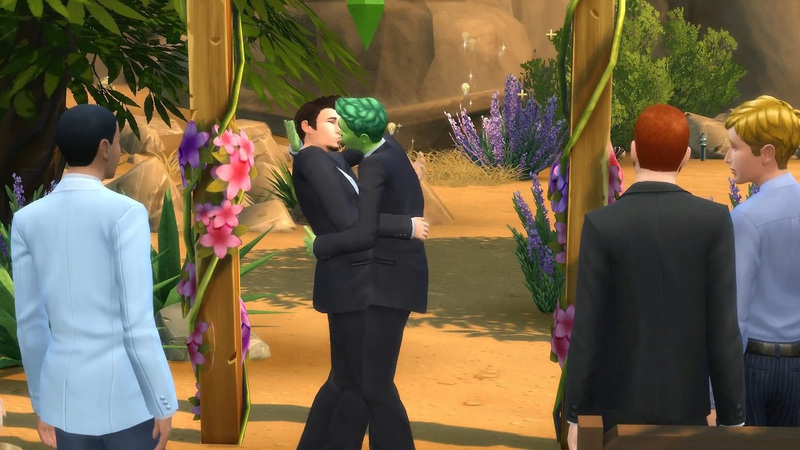 Happy Sims Pride, Simsophonique! Thanks for participating for two years in a row! Your Sims are beautiful! Thank you for your sweet comment Sara ! It’s rare when I can take part to an event I am happy to be there this year. 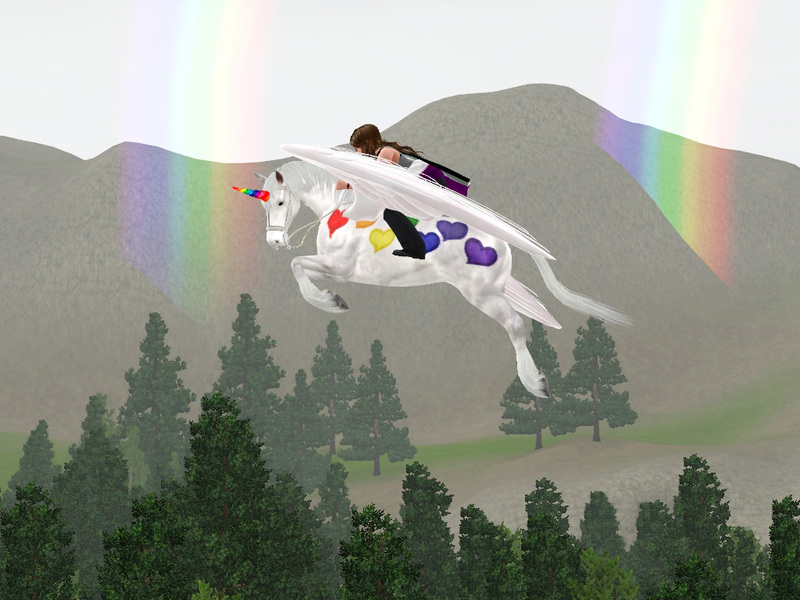 x3 I am glad you like my sims I really enjoyed the unicorn picture and that Casanova is a LGBTQ+ cat ! 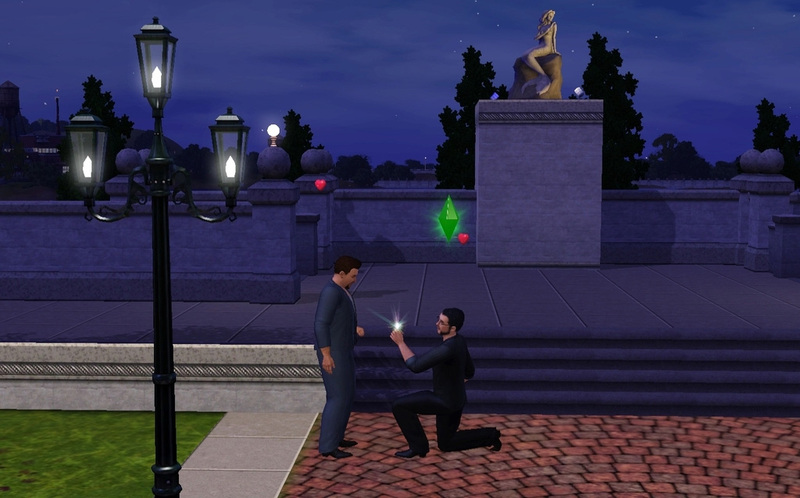 Either way, though, happy Sims Pride. I have the higher resolution versions of all the images available this year, they just have to be clicked on, they aren’t “locally” resized but rather I have a separate blog size version and full size version to help with mobile viewing. So the image is much larger on the off-site version (which is available when clicked on). 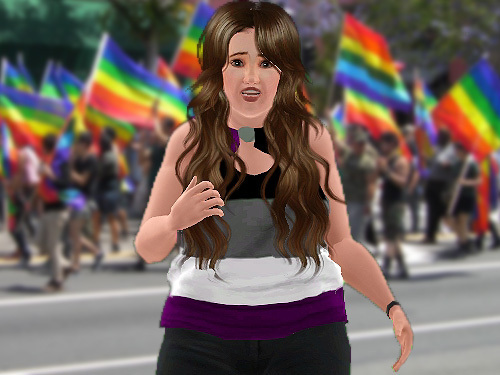 I’m so happy so many of your Sims came to Pride! I believe you had the highest amount of attendees in an image this year, which is awesome! 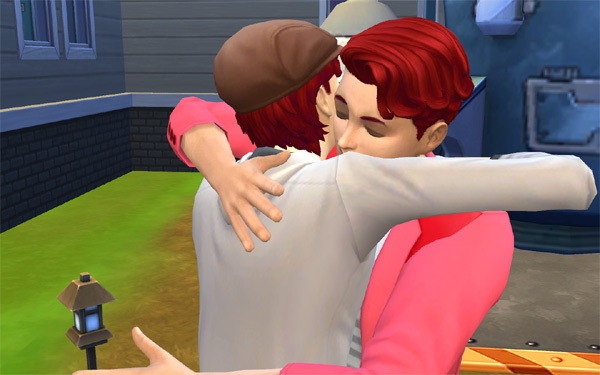 Happy Sims Pride, and thank you so much for participating for the second year in a row! This is seriously the best thing ever! Not only are all these Sims and their creators lovely, but now I can find more people to follow with the same interests as me. I’m just blown away every time I see stuff like this. I never knew there was a community more supporting than The Sims. Sometimes I find a bad seed here and there, but the love overshadows all the bad. Being apart of this community makes me so proud of all the change the world has made over the years. Heck, it’s even the reason I discovered who I am, which is asexual. I will definitely be back next year! I’m glad you enjoy it! 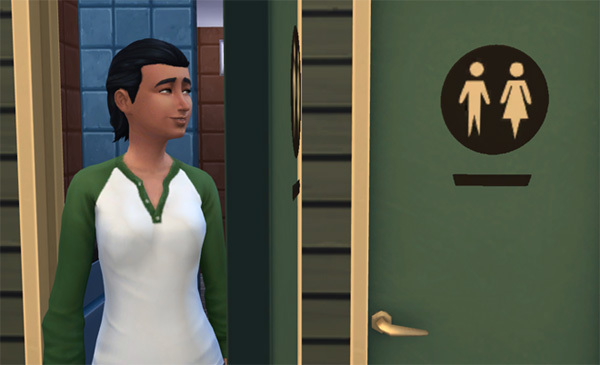 I completely agree that this community is full of so many great Simmers and Sims, I find in general such a broader range of diverse characters than in most fictional works/media in general (for example, just take a look at what a great representation of transexual and agender/non-binary/genderqueer/etc. Sims there are, or Ace Sims, and I still don’t see these areas of the spectrum get near as much representation in fictional works as they should). It just shows how open-minded, diverse, and creative the Simmer community is! It has definitely made me feel a little less “alone”. Where I live, I feel like the only Ace in the town, this strange anomoly, but I’ve found lots of Aces amongst the Simlit community! I’m not an anomoly here at all, and that is a really heartening feeling. I remember last year at Sims Pride someone was questioning, and when I responded to them in the comments, it sounded to me like they were a panromantic asexual, from my experience as an asexual with some knowledge on the subject. When I wrote my short story for Asexuality Awareness Week, that person commented on it, and was now identifying as a panromantic asexual, and I remember thinking, “Good for them!” I think this community does have a way of helping folks discover who they are and bringing people together. I hope you do find some new reading material! This is probably a good time to mention that the Stories and Legacies Index has a LGBTQ+ themes subject search tag, as well! I’m glad you enjoyed it! Thank you so much for taking part, I’m so happy your beautiful Sims joined us! Love this so much and I am so happy that I four to be apart of Pride again this year. I forgot to add that I am pansexual! Which is where I draw inspiration from for Bobbie. I hope she inspires others a much as she does me. That’s great, OJenn! My younger sister is pansexual as well! 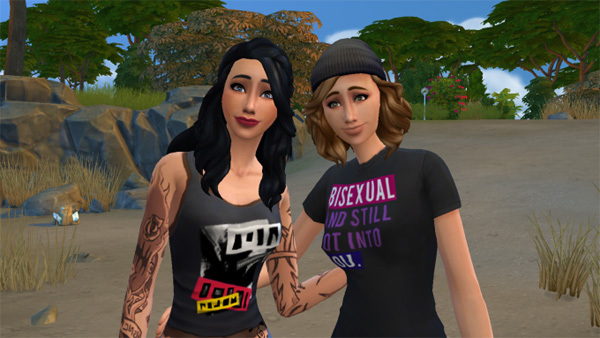 I love Bobbie and am happy she joined us for Sims Pride again this year! I’m glad you enjoyed it! Thank you so much for participating this year, I’m so happy Finley and Zana could join us and look forward to seeing you again next year! I love this so much! Great to see all those diffrent sexualities and genders represented. Thanks for the compliment by the way! Next year I will be entering even more Sims and yell my lungs out about this to every simmer I find. Looking forward to it! Thanks for taking part, it was great having you! There was a slightly smaller crowd this year compared to last year, but at least everyone had a lot of fun. It seems to me that though a lot of Simmers seem to support the idea they always tell themselves they have a reason “not to submit” even though the submission guidelines clearly state that Allies — all friends and supporters of the LGBTQ+ community (and indeed, one of the A’s in the LGBTQQIAAPP collective) — are more than welcome. So I’m not sure why they seem so shy to just come as themselves… I always do! ^_^ I think there is still missed potential with Allies and Simselves as folks focus too heavily on story characters and “potential spoilers” and forget about these things that are clearly right there in the guidelines that are really simple ways they could participate and take part.